Black Lives Matter At School is excited to announce our new, free, downloadable coloring book for young children and all those young at heart. To download the coloring book, visit: https://drive.google.com/drive/folders/1OLYjlPEAyVN8BEMHL82B6LfUmp2juC05 This coloring book is designed to help teachers, students, parents and community members in their conversations about race and the core values of Black … Continue reading The Black Lives Matter At School Coloring Book–Make this year’s week of action beautiful! Support our fundraising effort to make a documentary film short explaining the history & goals of the Black Lives Matter At School Movement. Please donate to help us build this movement! Black Lives Matter At School started in the 2016-2017 school year as a day of action in Seattle and then became a week of … Continue reading Donate to #BlackLivesMatterAtSchool today! Maryland State Education Association Votes to Support “Black Lives Matter At School” Week of Action! 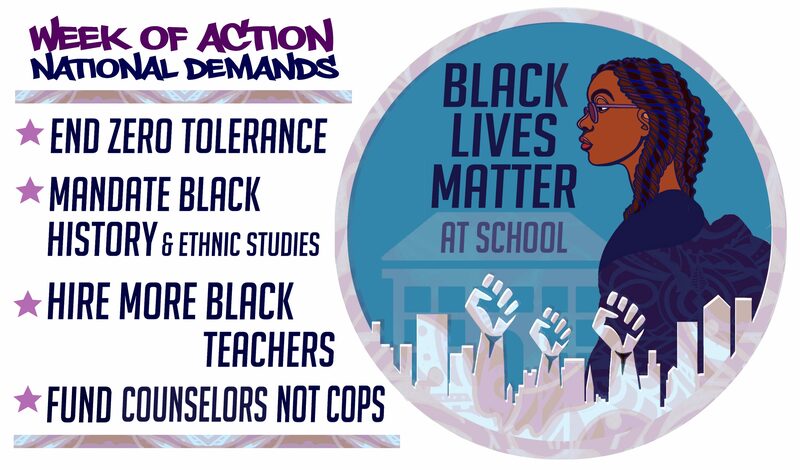 By Erika Strauss Chavarria At the 2018 Maryland State Education Association (MSEA) Convention in October, the MSEA Board of Directors unanimously voted to move an NBI on behalf of the Board, endorsing the Black Lives Matter at School Week of Action that will be taking place this school year from February 4-9th. After several failed … Continue reading Maryland State Education Association Votes to Support “Black Lives Matter At School” Week of Action! #BlackLivesMatterAtSchool Sept. 10th Webinar: Learn about the history, mission, and how you can help! This webinar will feature several of the leaders of BLM At School to explain how this movement started, what the objectives are, and how community organizations can support. RSVP for the webinar by emailing: BlackLivesMatterAtSchool2@gmail.com and providing your name and organizational affiliation. We recently had a big win when the National Education Association (one of … Continue reading #BlackLivesMatterAtSchool Sept. 10th Webinar: Learn about the history, mission, and how you can help!